Capt. 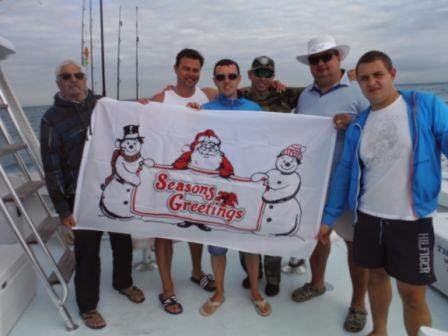 Stan's Deep Sea Chronicles: Wintertime Deep Sea Fishing in Miami Beach Before Christmas! Wintertime Deep Sea Fishing in Miami Beach Before Christmas! South Florida is known to have great weather all year around, but the weather during the winter season is particularly ideal for Miami Deep Sea Fishing as the marine life is much more plentiful than any other time during the year. Deep sea fishing is a particularly great idea for an activity right before Christmas time. As deep sea fishing enthusiasts know, many types of baitfish, like sardines and mullet start migrating in huge numbers through the South Florida area. Following the fish will be a variety of different predators that make for great catches, these include kingfishes, mackerel, dolphin (mahi mahi), tunas, bonitas, wahoos, sailfish, and even sharks. During this season, the variety of possible catches offers something for everyone at every level, whether it is an easy catch, a large catch or one rare catch. Also, during this great season, no matter what your skill level is, if you chose to charter a boat with Therapy-IV, the team at Therapy-IV will be with you and support you along the way. With Therapy-IV, you will be equipped with a state of the art Miami Deep Sea Charter Fishing Boat which will be filled with the latest gear and equipment for any type of catch. Equipment includes large outriggers for spacing baits apart, a large flying bridge with a captain's chair and two fighting chairs. The cockpit is equipped with four fighting chairs, two live bait tanks, and a giant transform door, great for big catches. You can also enjoy great amenities like an air conditioned lounge, a bar, an indoor theater with stereo and satellite radio, a bathroom and more. Our boats and services offer an exclusive, top notch experience, there is no wonder why Therapy-IV has been Miami Beach's number one activity on TripAdvisor for several years. 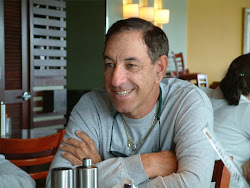 To learn more about Therapy-IV and Miami Beach Deep Sea Fishing you can contact 305-945-1578. Captain Stan is Excited for Art Basel!